There are a huge number of people who are dealing with bloating on a regular basis. The occurrence of this unpleasant condition is especially frequent after consumption of a heavy meal. Unfortunately, there are individuals who experience bloating all the time. 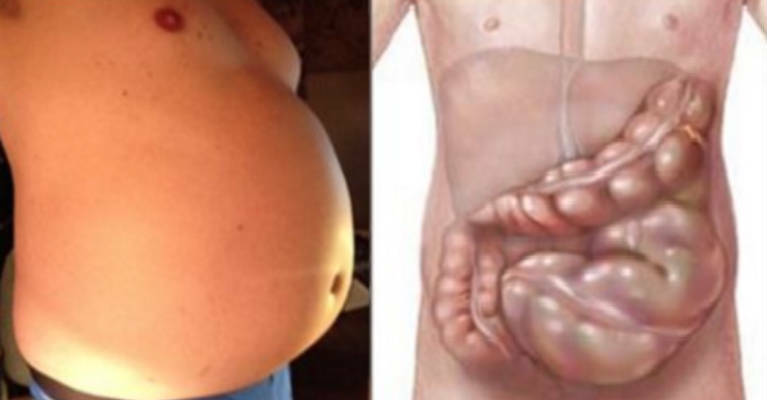 Physicians claim that bloating is nothing else than gas which is trapped in our stomach. In most cases, both gas and bloating are closely related to our eating habits which mean that we can make some changes that can prevent or ease this situation. This is a list of five most common things that cause bloating and how to avoid them. In order to avoid constipation you must increase the intake of fiber. Namely, constipation comes as a result of trapped gas right behind the feces. In any case, the situations can get worse if you begin eating high amounts of fiber all of a sudden. Consume smoothies, berries and replace white bread with whole grain bread. Eliminate bloating with the help of a low-carb diet. In case carbohydrates are not processed properly you can expect bloating. In addition, people can protect themselves from this problem if they stay away from alcohol, sugar and starches. Finally, instead of eating processed sweets stick to blended fruits, berries and veggies. Scientific studies have confirmed that stress contributes to bloating. If you feel high levels of stress, your brain disrupts adequate functioning of the digestive tract. Additionally, stomach pain and constipation lead to bloating. Those who are dealing with any kind of digestive issues or feel bloated must find a way to de-stress and consume healthier foods and drinks. If you don’t consume sufficient amount of water you can trigger many different disorders, diseases and health issues. Sugar, alcohol and coffee are some of the main triggers of dehydration. I case you take these drinks throughout the day, it is very likely that you are dehydrated. Generally speaking, people should take between six and eight glasses of water a day. If you don’t consume enough water, your body will start using the fluids stored in it. In addition, boated stomach is often caused by fluid retention. So, consume sufficient amount of water in case you want to solve this issue. Eat and drink slowly in case your stomach is bloated. There are different digestion issues related to fast eating of food and not chewing food. The process of eating food should not be something done in a hurry. Try to take very small bites and chew your food very slowly. In other words – enjoy your meal!